Leading Manufacturer of gas burner from Gurgaon. Working Temperature 0/40 degree C min./max. from 16,6 to 309,5 kW, divided in five different structures. All the models use the same components designed by Riello for the Gulliver series. The high quality level guarantees safe working. 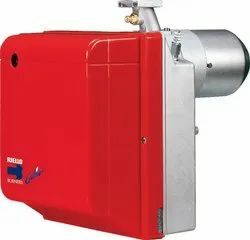 adjustment, to obtaining the smallest size possible to fit into any sort of boiler available on the market. Voltage, Machinery and Boiler Efficiency. All the Gulliver RG burners are fired before leaving the factory.